We are accepting applications for the 2020-21 school year! Part 1 of the application is due by September 30, 2019. Part 2 is due by October 31, 2019. Please click each link to the left to learn more about the process and to begin your application. • Have the adventure of a lifetime! 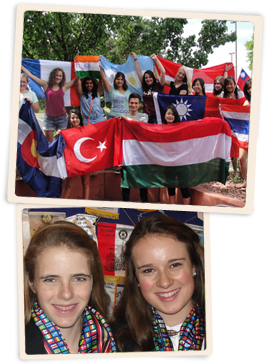 Every year, more than 6,000 young people will have the opportunity of a lifetime - a chance to live in another country, learn a new language, and see the world from a new perspective through Rotary Youth Exchange. This could be YOUR year! As a Mountain & Plains RYE student, you will spend a year living with host families and attending high school in a country other than your own. You will learn a new way of living, maybe even a new language, and a great deal about yourself. As you are learning, you will also be teaching the people you meet about your country, your culture, and your ideas. 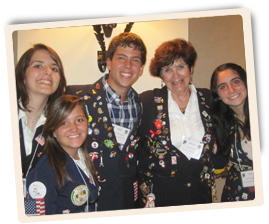 You will be a youth ambassador, helping to bring the world closer together and developing great friendships in the process. We like to refer to this experience as bringing peace to our world, one young person at a time. If you are ready for the challenge and the rewards of living in another land as an exchange student, then you are ready to discover new worlds through Mountain & Plains RYE.